Lassi is a frothy yogurt based drink that one often orders in the Indian restaurants. 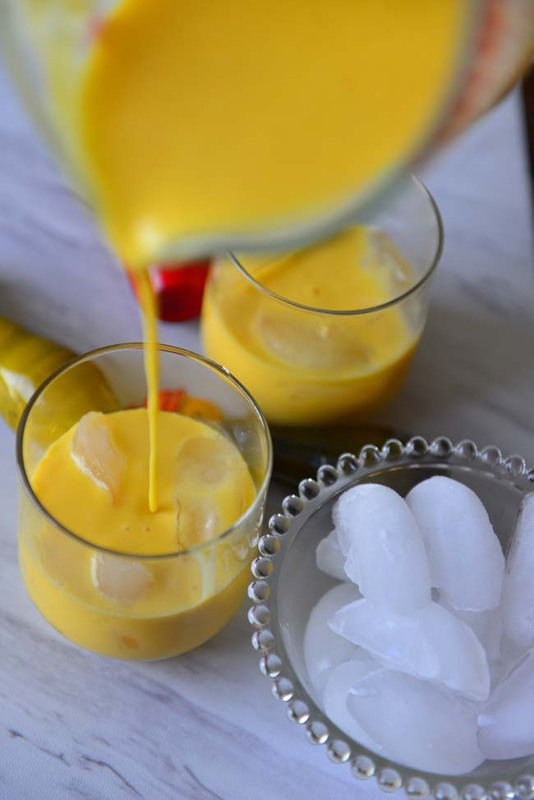 The popular vote goes to mango lassi that is sweet, fruity with a hint of tang. The restaurant versions usually are thick like a smoothie and extremely sweet. A tall glass of this will be filling enough to considered light lunch. More often than not we order a couple of mango lassi when we dine in north Indian restaurants. I don’t make it at home much, not that it is difficult to make ! Out here the mangoes never last long enough to be put into the blender. Case in point , the other day I got a big bag of frozen mangoes from the warehouse store to make mango lassi for a school event. 2 days later, I searched the freezer and the bag was there, with just 2 teeny slices of mangoes. I guess I should have accounted for that when little humans live under my roof. 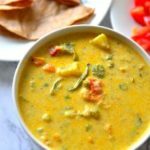 Boy was I glad that I had a couple of cans of mango pulp in the pantry ! Additionally mango pulp makes the job very easy. It tastes good , but not fantastic ! 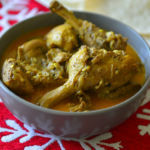 Given a choice I would rather make these with fresh overripe mangoes ! Lassi is not always sweet. 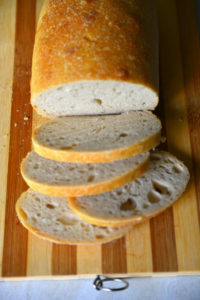 It could be salty , tangy or sweet with the unmistakable dairy undertones. Plain / Sweet / Salted Lassi used to be a refreshing summer drink. Home made yogurt (Indian dahi) is diluted with water and hand churned in pots using a wooden with churner. Add salt or sugar as you prefer and keep churning until the drink is frothy. 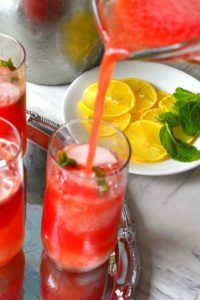 Pour into a glass and sprinkle a dash of spice – cardamom / roasted cumin powder / ginger powder – for a refreshing summer drink. This is unlike the restaurant versions that fill you up before the meal. 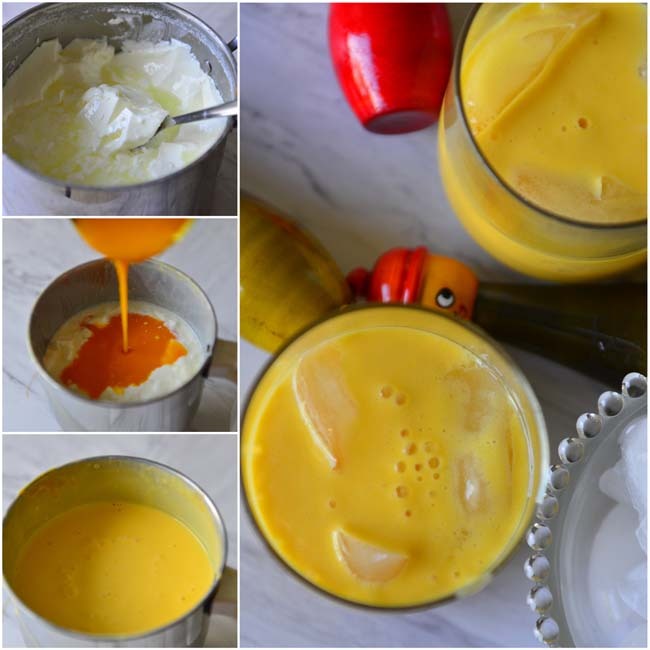 This is pretty much how you make mango lassi. Yogurt and mango pulp blended together. With the variety mangoes available in India during summer there are umpteen variations of taste in this simple theme. The mangoes bring their own flavors to the drink – and serve over a handful of ice cubes for a after school snack or breakfast smoothie. 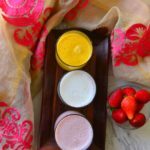 There are another version that is popular in our house – Strawberry Lassi. This is my personal favorite is Strawberry , because fresh berries are local where I live. 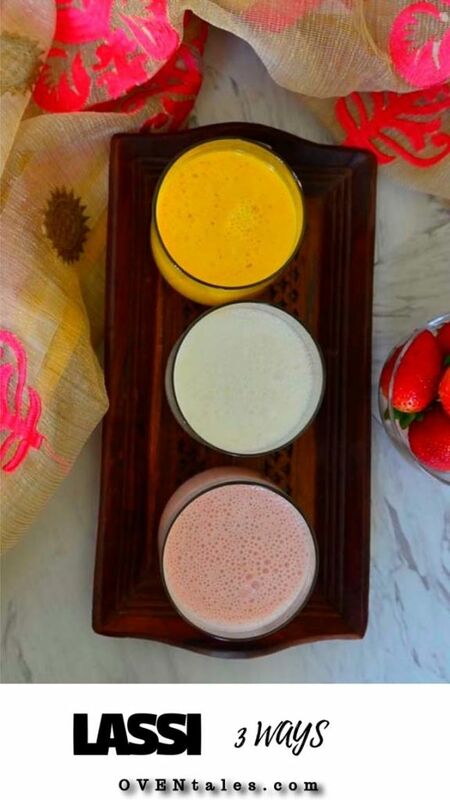 Which ever flavor you chose to make all of them follow a pattern mix with yogurt and blend ! Note : You can find two of the other popular versions – sweet lassi and mint lassi in the notes. A frothy yogurt based drink that is popular in the Indian subcontinent. The popular versions include salty , sweet or fruity. Start with chilled yogurt and water. Blend the yogurt and water in a blender with a pinch of salt – if you have a whipping attachment use it . Taste and adjust salt . Keep blending until the mix is frothy. Toast the cumin seeds in a pan for about 1 minute or until it begins to pop. Crush to a powder using a mortar and pestle. Transfer the lassi to serving glasses and sprinkle the cumin powder on top. Blend the mango slices into a smooth pulp. Add the yogurt to this mix and blend. Taste and add sugar if needed. Add enough water to thin the mix into pourable consistency . Wash and remove the stem from the strawberries. Slice into small pieces if needed. Blend the berries till smooth. Add the yogurt and blend till uniform. Taste and add sugar if needed. Add water and blend for 1 minute till frothy. Use plain yogurt , not strained or the Greek Perferably use homemade yogurt. 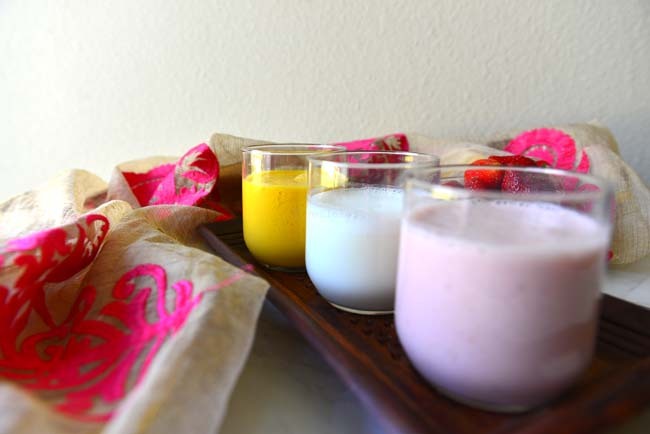 Salt lassi tastes better if the yogurt us Homemade yogurts gets more tangy as it gets older. Use a little lemon juice if making salt lassi with fresh yogurt and you prefer the tang. Mangoes vary in terms of sugar Canned mango pulp is usually sweetened and there will be no need to add extra sugar. 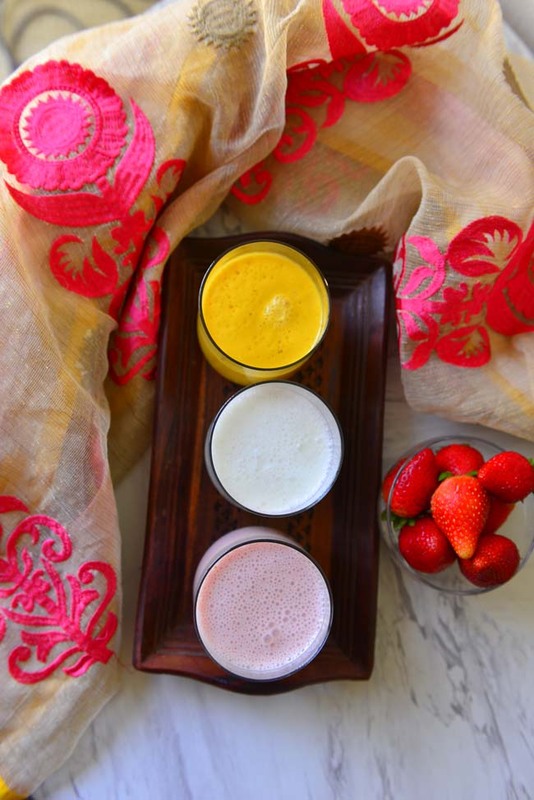 For Sweet Lassi follow the recipe for salt lassi and add 2- 4 tbsp of sugar while blending. 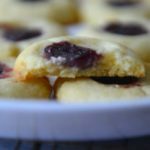 Garnish with powdered cardamom. What a great recipe, I’ve had Lassi counteless times but never thought about making it at home, must change that! love having a Lassi at my favorite Indian restaurant. I am so excited to try to make it at home. I have never had the strawberry version. It looks lovely. Thanks for sharing 3 different varieties to try. 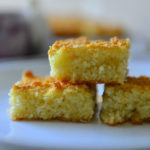 I absolutely love lassis (especially mango) but I have never thought to make them at home. 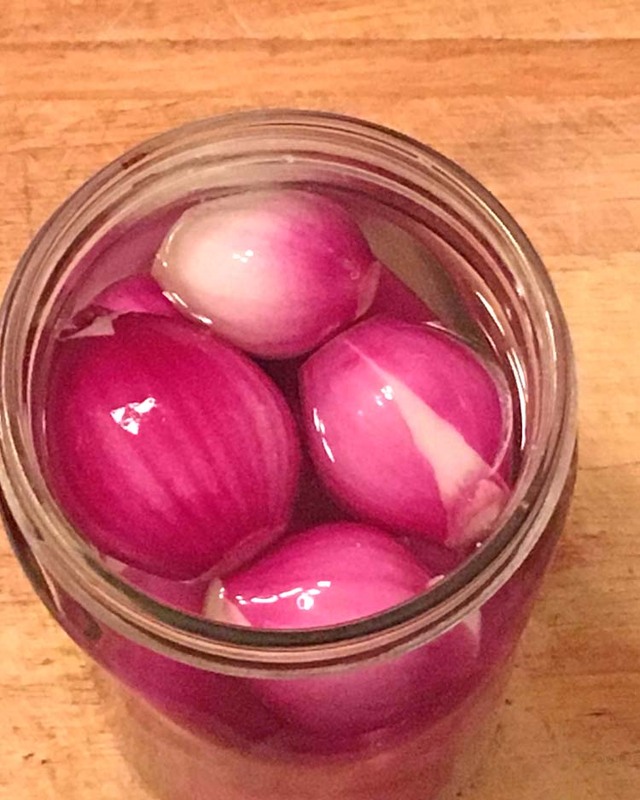 Now I know how simple they are, I can’t wait to try all 3 recipes! Thank you , Hope you enjoy them !